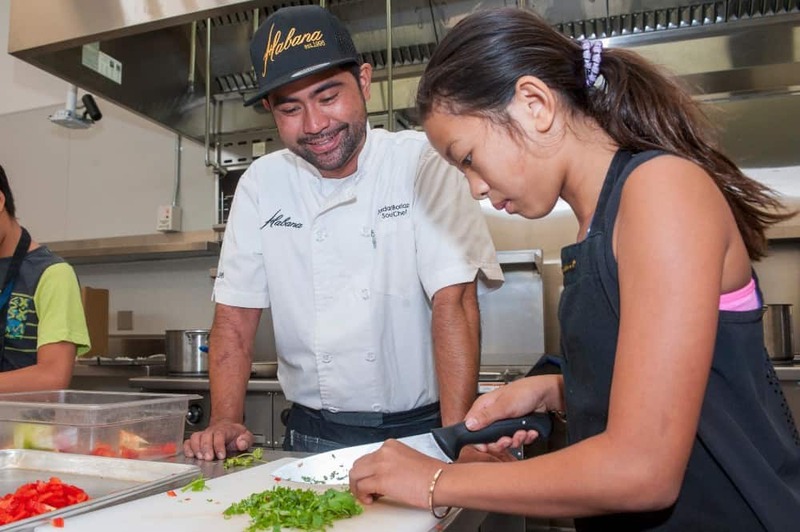 During IPSF’s Culinary Creations and Pastry Pro Camps in August, students got an extra special treat when professional chefs from Habana Restaurant made a guest appearance to teach students recipes from their award-winning restaurant, opening at the Irvine Spectrum later this year. Executive Chef, Alex Moreno, led students in the Culinary Creations through the process of making authentic chicken empanadas from scratch. Habana’s Pastry Chef, Aldo Mendiola, worked with students in IPSF’s Pastry Pro camp, teaching them the art of making pate a choux, creating the perfect Italian buttercream, and beautifully decorating a cake. Not only did the chefs help students build fundamental knife, cooking, and baking skills, but they also taught the students about the most important ingredient of a perfect dish: love. We are so grateful for Habana’s partnership, and proud to offer programs that give young learners the opportunity to explore passions, gain hands-on career experience, and learn first-hand from leaders of local industries.